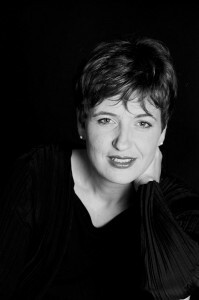 Lydia Vierlinger is Professor for Voice at the University for Music and Performing Arts in Vienna. She specializes in Early Music, has performed alto roles in many of the world’s greatest music centers, and has recorded many CDs. Besides her regular teaching duties in Vienna, she also regularly holds master-classes in voice elsewhere in Austria, and abroad. Lydia Vierlinger was born in Linz where she began her musical education in violin and piano. She soon discovered her passion for singing. After an exchange year in the USA she resumed her musical training, enrolling in the soloist program and vocal education studies at the University for Music and Performing Arts in Vienna. After completing her degree she studied in London with Diane Forlano, and in Vienna with Herwig Reiter. Her career began with an intense series of opportunities for singing with ensembles—with the Arnold Schoenberg Choir, from 1984 to 1993, and next with the ensembles “Voces” and “Nova,” with whom she broadened her repertoire in Renaissance music. Many recordings document the musical creativity of Lydia Vierlinger. Her solo-CD, Vedo il ciel, a collection of Händel arias performed with the Capella Leopoldina and conducted by Jörg Zwicker, was nominated for the “Klassik Amadeo 2005.” Her CD Almirante, a selection of duets by baroque composers, opened new horizons within Early Music in linking previously unrelated pieces via newly composed recitativi to create a “new baroque opera.“ Her duet-partner in Almirante is the soprano Deborah York. Romantische Duette, a collection of songs by Dvorak, Brahms, Mendelssohn and Schumann, recorded in cooperation with the German soprano Doerthe Maria Sandmann, reached its 8th edition in 2013. Together with Sandmann, Vierlinger also recorded Boten der Liebe – Brahms Raritäten. Vierlinger’s performance in the Telemann-opera pastorelle en musique, a piece that had been lost during the Second World War and had only been rediscovered in the Nineties in Kiev, led to a world premiere recording which found a global audience. Her musical partners in this project were, again, among others, Capella Leopoldina, conducted by Kirill Karabits. Lydia Vierlinger’s stylistic and vocal versatility is evident in her various excursions into jazz and contemporary music. Together with the jazz-saxophone player Max Nagl she has recorded Musik für einen Kirchenraum. She has also recorded a children’s collection of Christmas songs. One of her most recent CDs features songs by Oswald von Wolkenstein, a late medieval bard from the South Tyrol. Since 2011, Lydia Vierlinger has dedicated herself mainly to her academic duties as a teacher.